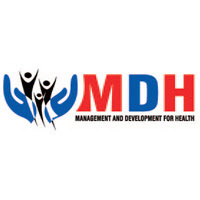 Management and Development for Health (MDH) is a non-profit, non-governmental organization whose primary aim is to contribute to addressing the public health priorities of the people of Tanzania and the world at large. These priorities include communicable diseases such as HIV/AIDS, Tuberculosis and Malaria; Reproductive, Maternal, New-born and Child health (RMNCH); Nutrition; Non-Communicable Diseases of public health significance; as well as Health System Strengthening. The laboratory officer is responsible for ensuring that MDH supported sites meet the national standard for laboratory practices required to support all project activities, including capacity building of laboratory personnel through training and mentorships. Play a supportive role in the provision of technical assistance for the selected labs for accreditation, as directed by the MDH Laboratory Services Manager. Assist the Lab Services Manager in the development of proposals, budgets,work-plans, and reports related to MDH’s Laboratory services support activities. Facilitate reports by preparing quarterly, semiannually and annually reports. Suggest innovative strategies for strengthening laboratory activities to improve the quality of clinical care. Carry out any other responsibilities as assigned by the Lab Services Manager. Job summary: This position will ensure the organization and subgrantees complies with laws, regulations, donors terms and conditions as well as third parties’ contractual terms and conditions. Conduct periodic compliance tests on financialand administrative controls to ensure their effectiveness, reliability and integrity. Identify and develop risk management strategy for the organization, projects and sub recipients and report progress on quarterly. Verify assets and liabilities and make appropriate recommendations. Diagnose and develop enhanced procedures to ensure compliance with all regulatory, financial, program, projects, strategic information and core operationalsystem requirements. Job Summary: The M&E Officer is a self-motivated individual who will set and analyze data and monitor achievements of project targets and goals.He/She will work in close collaboration with the project team members in receiving and analyzing laboratory data and monitor performance. To lead efforts to identify gaps in HIV and related programs and services; design and implement operational research (OR), PHEs, secondary data analyses and CQI initiatives to address these gaps; and write abstracts,posters manuscripts, and policy briefs to widely disseminate findings. To actively participate in writing technical program documents including project proposals, work-plans, reports, best practices, lessons learned and other relevant documents, as required by the RPM. Job Summary: The Regional Clinical and SI Manager (RCSIM) will be responsible for providing overall technical support in program implementation and SI activities at regional, district and facility site level.She/he will responsible to the RPM and will work in close collaboration with the relevant region and district level health management teams in program implementation. The RCSIM provides technical leadership to supported Afya Kwanza Project programs including HIV Testing (HTS} Services, PMTCT, Care and Treatment (C&T), TBHIV integration, Laboratory Support, Supply Chain Management and Retention and Community Linkages, Iinitiatives and Data Management in the assigned region. He/She oversees needs assessment, on HIV and related programs in the region and organize efforts to address these needs including areas of capacity building through on-job training, mentorship and supportive supervision and health system strengthening in collaboration with the R/DACCs. To lead efforts in identification of gaps in ART retention, TB and community-based services; design and implement/oversee PHE, secondary data analyses and CQI initiatives to address these gaps; and write abstracts, posters manuscripts, and policy briefs to widely disseminate findings. To lead efforts in writing technical program documents including project proposals, work-plans, reports, best practices, lessons learned, and other relevant documents as required. To ensure timely collection and submission of national HIV services and program data – as well as support strengthening of the related M&E systems. Participate in periodic data quality assessment activities to track progress in data management at individual facilities, district and regional level. Perform a finalreview and verification of the quality and completeness of the quantitative quarterly, semi-annual and annual reports from respective region, district and facilities. Applications should be submitted by Monday 18th November, 2018, to the Director of Human Resources and Administration through e-mail [email protected] or dropped by hand at the MDH Head Office in Mikocheni, along Mwai Kibaki Road, Plot No. 802.